Gemma combines the best qualities of Emma (feminine + classic) and Jenna (contemporary + fun). With unmatched versatility, dainty and delicate sizing, the brand-new Gemma line was created for the young and young-at-heart! Rather wear your favorite pair of jeans than anything else? 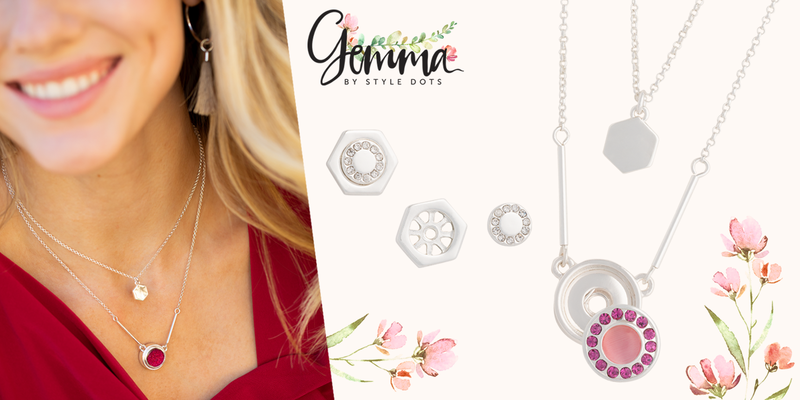 Then the Gemma Natural Pointe Pendant and Earrings were made especially for you! 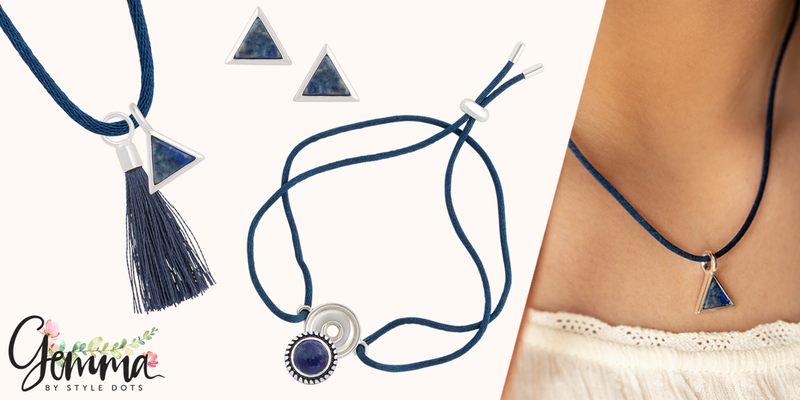 When you wear it with a matching Satin Bolero Bracelet and a blue Dot, you’ll take casual to a whole new level. 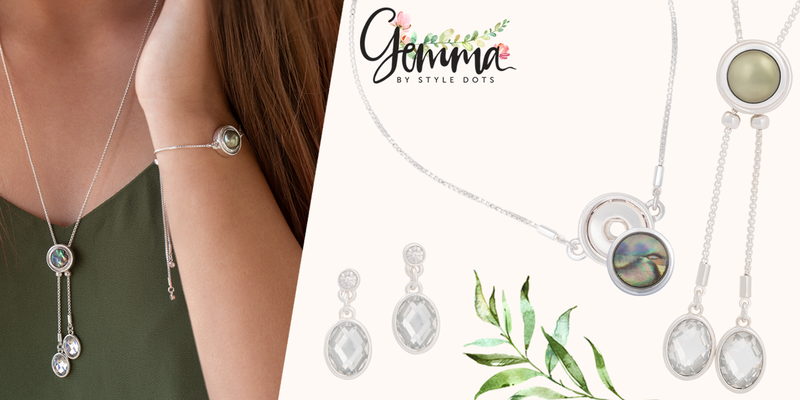 This layered set gives you the option to go bold or go soft simply by swapping out Dots or wearing the earrings with or without the polished silver jacket. So many pretty possibilities! Light, bright and beautiful sums up this fresh, new look. 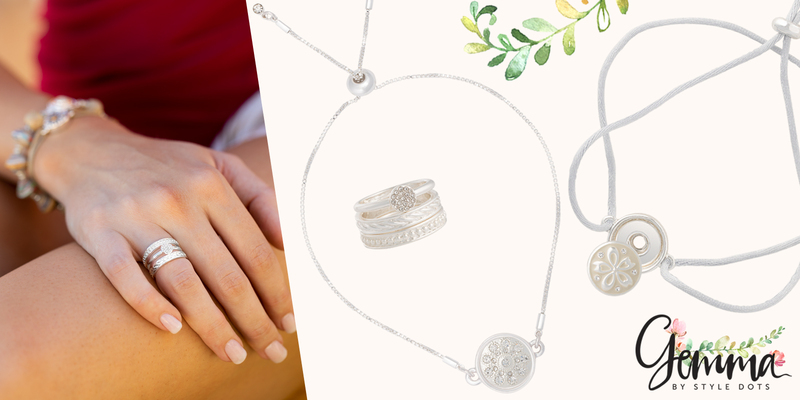 When you wear the trendy Bolero Bracelet with swinging crystals, the soft satin Bracelet and the stacking rings you will be adding a luminous glow to your ensemble. This casual and comfortable set is just right for work, school and play! 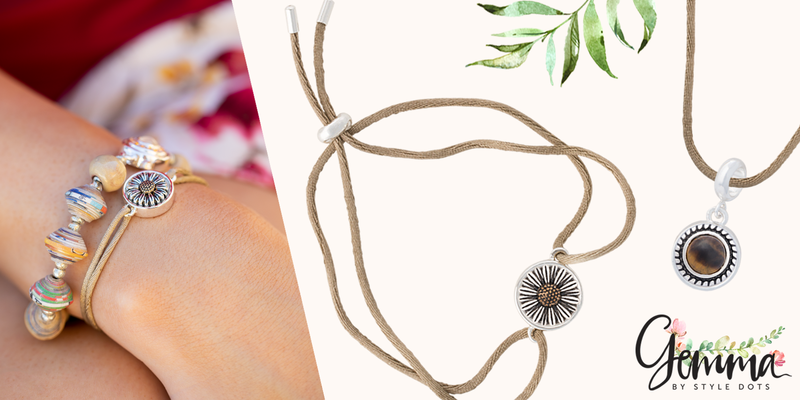 The soft satin cords and neutral Dots go with just about any outfit. Sure to be your fashion favorite. 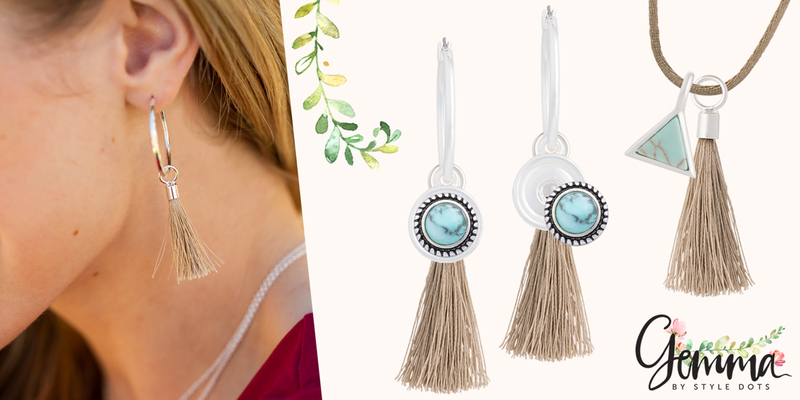 Turquoise and sand-colored elements combine to create a natural vibe in this swingy set. Round and triangular Dots add a geometric edge creating a look so trendy and fun that you’ll want to wear it every day! If you’re excited about the upsurge in olive-colored fashions and accessories, you’ll love this trendy set! Two Olive Dots in foundations with sparkling crystals make this set a standout addition to your jewelry collection. Can’t get enough of the Gemma collection?